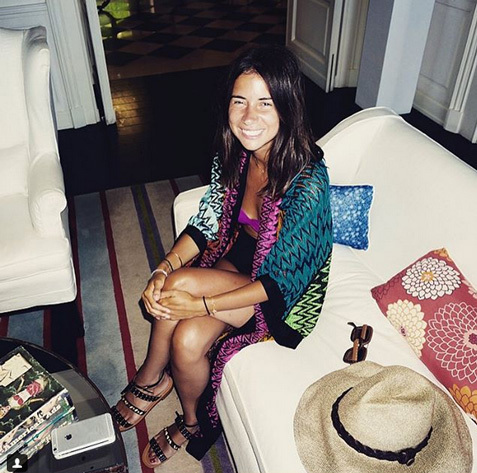 For some vacation style inspo, I'm looking to stylist Natasha Goldenberg, who lounges oh so elegantly in (not your everyday) robe-like cover-ups. Creative director Lily Kwong (last pic) also eschews the traditional caftan for a long silk Stevie Howell kimono. On my next getaway, I'd like to jump on this trend and chill in this Missoni crochet robe (60% off! ), this lace Anna Sui, this feather light floral Zimmermann, the print Free People, and this pretty pastel Maaji (50% off!). That Missoni robe Natasha is wearing is divine!